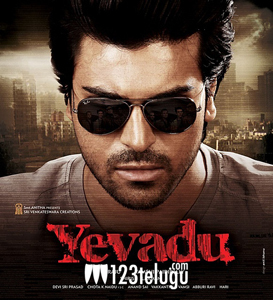 Ram Charan is all set to rock in his upcoming Yevadu, which is being touted as an action thriller. After a long time, he joined the film’s shooting last week and he seems to be quite impressed with the way the film is shaping up. Recently, an item song was shot on Ram Charan and Shweta Bhardwaj and the actor couldn’t stop raving about Devi Sri Prasad’s tunes. “just shot for an item no. in Yavadu.u’ll definitely need sumthing to cool u down ones u see the song.thanks DSP (THE KING OF ITEMS),” Ram Charan posted on Twitter. Samantha and Amy Jackson are playing lead roles in this film and Allu Arjun is going to make a cameo. Vamshi Paidipally is directing the film and Dil Raju is producing it. Devi Sri Prasad has composed the music.